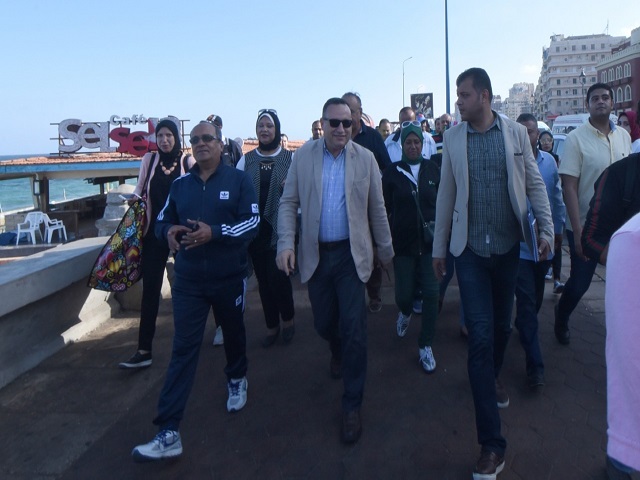 On Sun, 4 Nov 2018 Dr Abd El Aziz Qonsowa, Governor of Alexandria, opened "I Love Alexandria" initiative.This initiative aims at restoring discipline to Alexandrina street including cleaning, paving ,beautification in addition to lighting and electricity. He pointed out that the governorate works on short, medium and long-term plans on education, health and traffic. He thanked Alexandria University for its contribution in resolving many files that concern the Alexandria citizens. He also thanked the children with special needs who participated in the sports activity on the sidelines of the initiative "I love Alexandria". Copyright © 2014 -Alexandria Portal -Ministry of State For Administrative Development- All rights reserved.